These socks arose from my holiday gift of sock yarn. Here I am casting on, on the train. 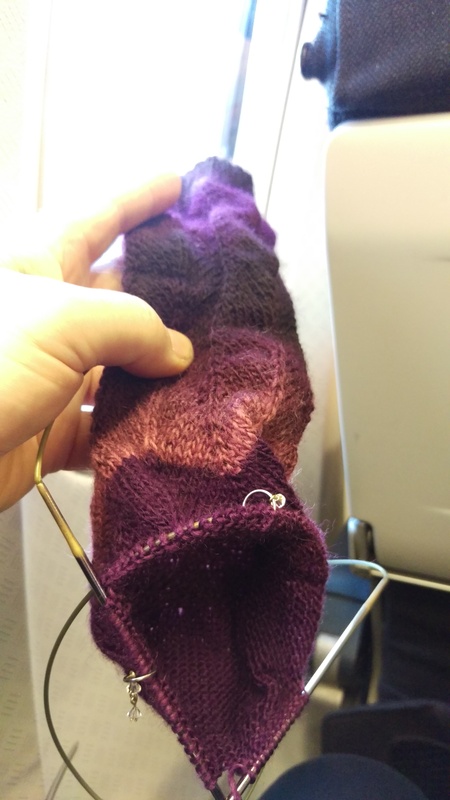 Clearly I didn’t consider sock in progress shots too often. This one seems to be another train shot on a sunny day. The design is Jaywalker, by Grumperina. One of the designs I can hold in my tiny mind even on public transport. Yeah, it’s true, pull out your knitting and people come over and start talking to you. Lots of fun! I have my knitting with me wherever I go. 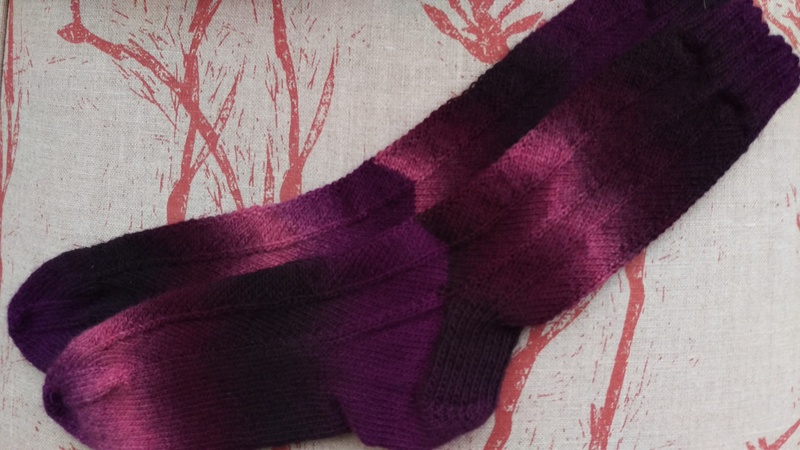 People look surprised at toe-up socks, too! Beautiful socks! Are they jaywalkers? Hi Khendra, they certainly are Jaywalkers! Good to meet another knitter who has knitting with them constantly. Priceless and unfortunately true! I had someone ask me, while I was spinning on a spinning wheel……….if I was weaving! How out of touch can we get ? I had someone ask me once, (on a train), whether that was macrame (it was sock knitting). So–well–weaving and spinning both require a biggish tool??? LOL! Holy monkey, you are fast! So pretty! I think they’re pretty too, and I believe the recipient does too. Sher’s a woman of some style, so that’s really a compliment. I don’t know about fast, but I’ll take it. Thanks!